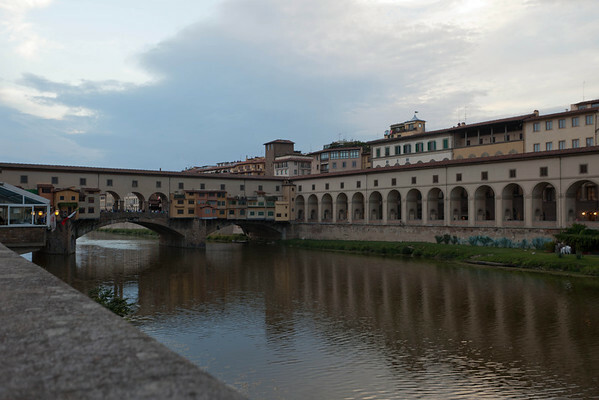 Our Florentine friend brought us to this attractive new place on the banks of the Arno river as the sun was making it’s way into that great tunnel in the west. It’s actually about three blocks to the left of this, past the Ponte Vecchio. 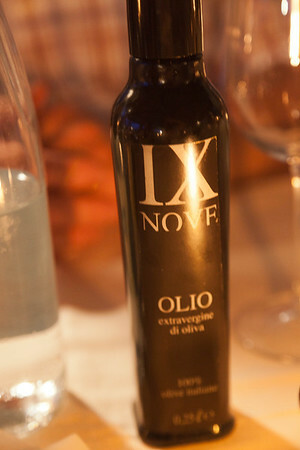 Nove IX is more typical of a city like Florence than most of the Tuscan restaurants we have been eating at in that it’s a bit more modernized, trendy. Still, the cuisine is solidly rooted in the local countryside. The have their own olive oil. 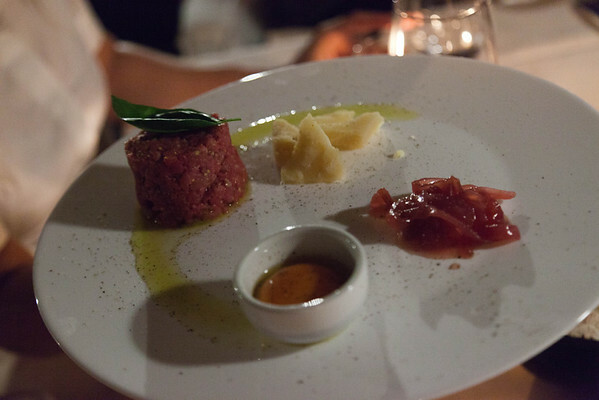 This is a tartar of beef with parmesan. 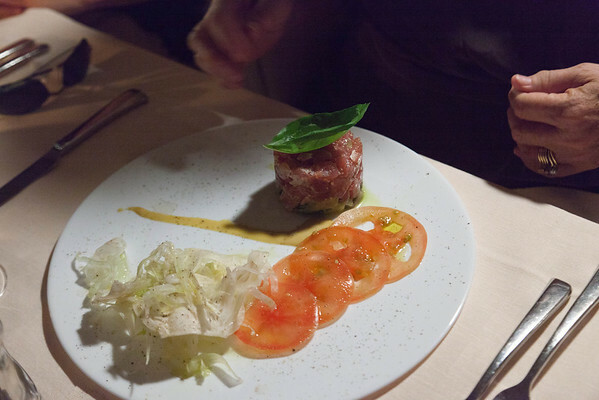 And on a more modern note, a tartar of tuna with avocado and tomato. 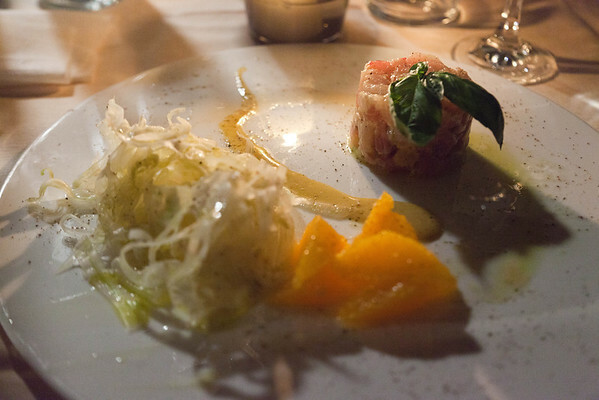 And one of white fish (perhaps even yellowtail) with citrus and a light frise-type salad. Certainly showing those Matsuhisa type influences. 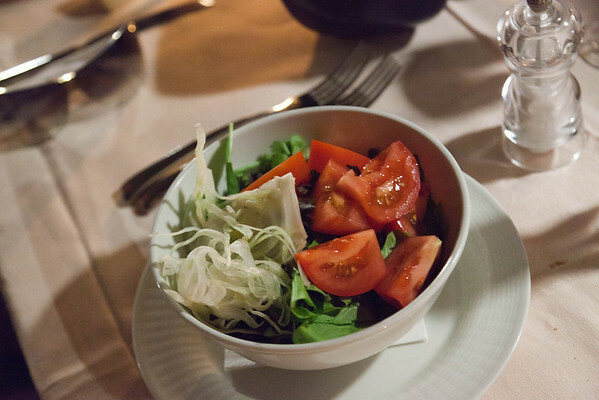 The Nove IX take on the mixed salad. 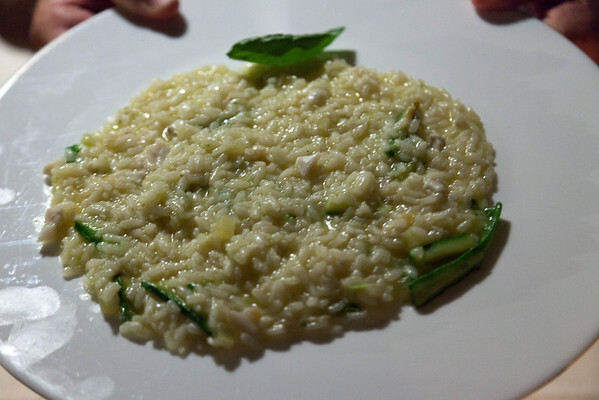 Risotto with spigola (sea bass), lemon, and Florentine zucchine. 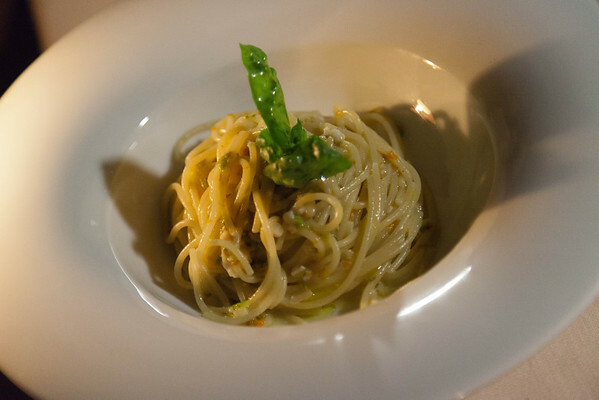 Spaghettini with pesto of zucchini flowers. 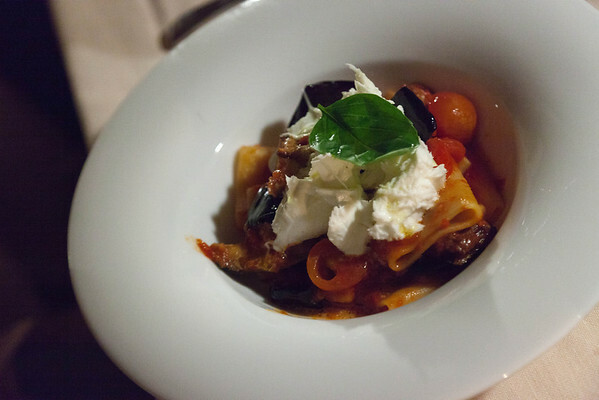 Paccheri (wide pasta) with tomatos, mozzarella and fried eggplant. 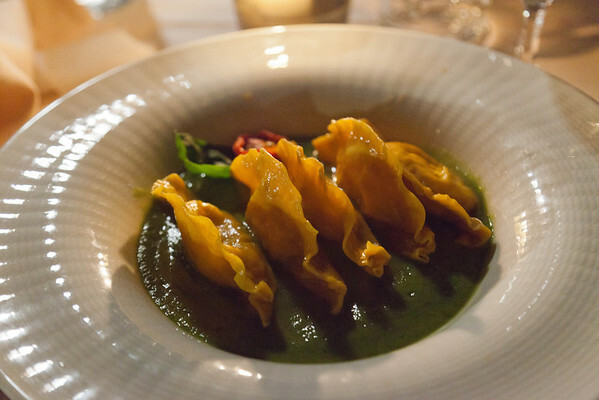 Shellfish ravioli in creme of zucchine sauce. Trofie alla genovese. Traditional twisted little pasta with pesto (basil, olive oil, garlic, parmesan, and pine-nuts) as well as a bit of sliced potato and green beans. 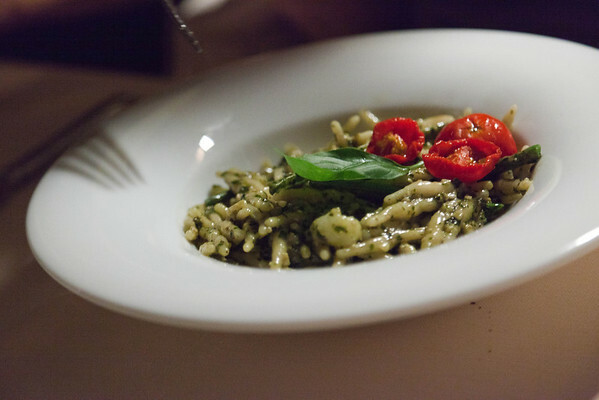 This was the best pesto I had until we got to Liguria (where pesto comes from). 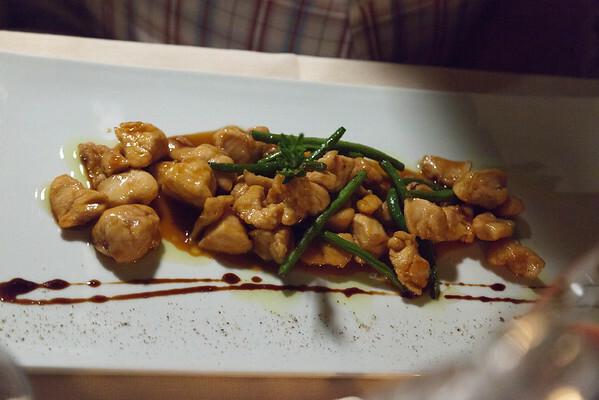 Chopped chicken with green beans and balsamic sauce. Not so far off from a chinese dish! Nothing at all wrong with Nove IX. The food was great, and it was a welcome change to see a little bit more updated menu without compromising at all on quality. 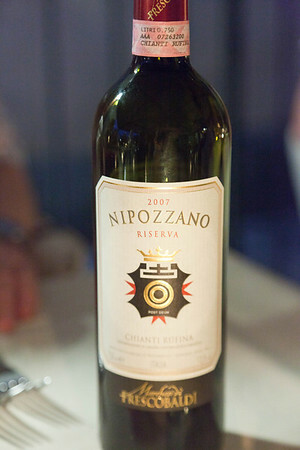 This entry was posted in Food and tagged Arno, Chianti, eating-italy, Florence, Italian cuisine, Italy, Olive oil, pasta, Ponte Vecchio, Tomato, Toscana, Tuscany, Wine.